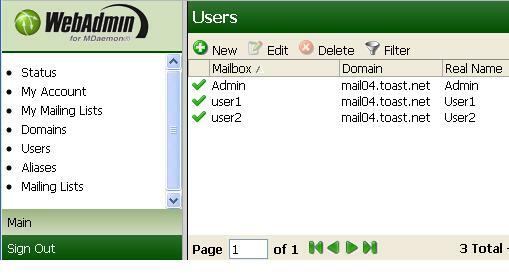 The Corporate Email WebAdmin enables users to manage their email domain via a web-based administration interface. 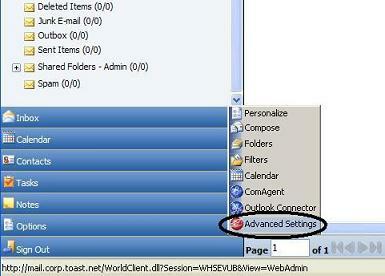 WebAdmin can be accessed from WorldClient by going to Options - Advanced Setting. Below is an example from the Lookout theme. Users can be added, edited, and deleted by going to Users. Aliases and Mailing Lists can also be administered using WebAdmin by choosing the appropriate sections below.